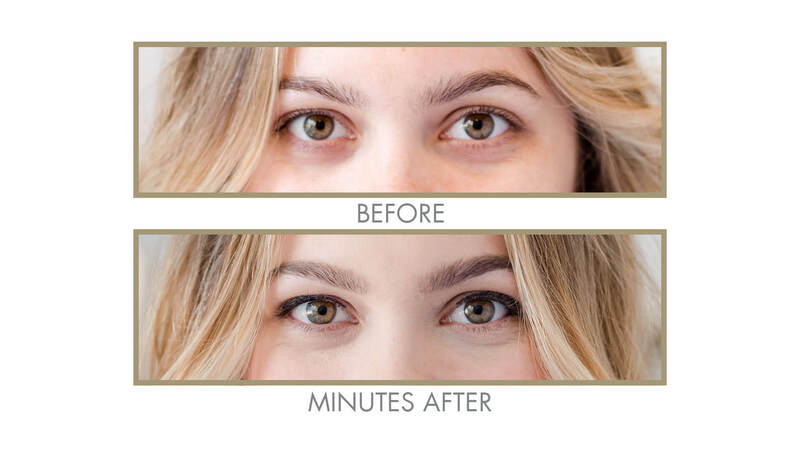 Line-Smoothing, antiaging, full-coverage, invisible-on-the-skin—that’s what makes GENIE Instant Line-Smoothing Concealer so unique. 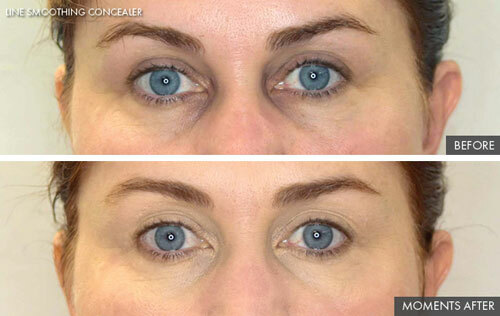 GENIE Instant Line-Smoothing Concealer covers your dark under eye circles, pigmentation, blemishes and age spots instantly without emphasizing lines and wrinkles with this rich, creamy lightweight-feeling formula. Incredibly smooth, skin-perfecting concealer gives you maximum, waterproof relief for instant coverage and brightness while bathing your skin with a powerhouse of anti-aging ingredients such as safflower seed oil, sweet almond oil and shea butter as well as vitamin E and hyaluronic acid. Twirl applicator to dispense stick and apply to problem area. Tap into skin to blend. 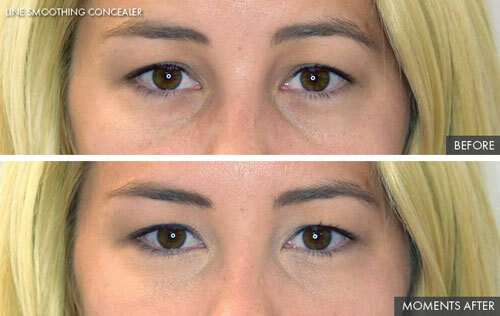 Be sure to blend under and around eye if concealing under-eye area. GENIE Instant Line-Smoothing Concealer can be applied under or over foundation, and should be applied after GENIE Instant Line Smoother. 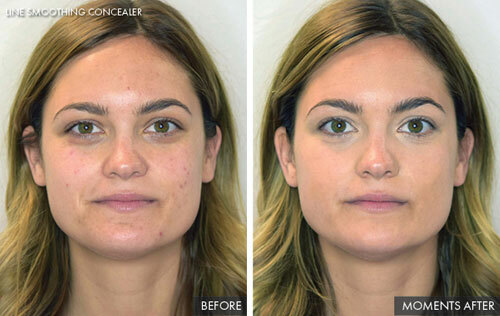 Then set the concealer by using Genie Cashmere Powder on top of it. This concealer has really surprised me – I seriously think it is now the holy grail concealer for me. I ordered it expecting that it would just be the run of the mill concealer that creased and dried out the eye area. Was I wrong – it is the exact opposite of that. 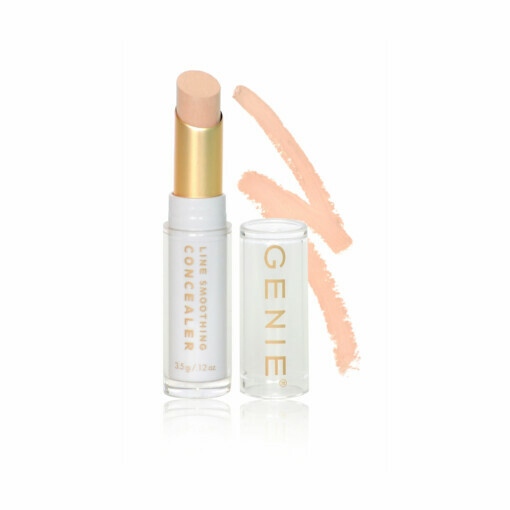 This Genie concealer really is hydrating and the coverage is superb for middle aged skin. You get no creasing with this concealer and it does amazingly maintain hydration throughout the day (yipee!). I use the Beige (in preference to the lighter Ivory shade) even though I have fair, cool-toned skin. The Beige has more of a pink tone and just looks so natural (The Ivory is just a bit lighter and has more of a neutral tone). I wear this wonderful Genie Beige Concealer as the last part of my make up routine. I apply and then lightly blend it out with my finger. This concealer also works well together with other brand cosmetic products (I have recently been wearing the PUR peach primer, the PUR 4-in-1 Correcting Energize & Rescue Primer, and Ariane Poole’s Ultimate face tint in light, followed by this concealer). Do try this ladies. Once you decide on the right shade for you, it really is perfection. This product is fab, not only does it cover up my dark circles, it is so hydrating it feels like I am putting on an eye cream – love love love it! Hurrah! I have finally found the perfect everyday concealer. At 51, I am very fortunate to barely have a line on my face, but my undereye area is quite crepey due to my age and the lubricating eye drops I use at night. I have also had dark circles for years and have tried a multitude of skincare products and concealers to eliminate or disguise them. Most concealers tend to cake in this area and cause the lines to appear worse than they actually are so I was excited to try this line-smoothing formula type and it hasn’t disappointed. I have light skintone and bought the Ivory on the presenter’s recommendation. I think Beige would suit me better as the paleness of the ivory is lighter than the foundation I wear so have repurchased and will use both shades together. There is a definite line-smoothing effect and my dark circles are almost completely disguised. Instead of applying it directly from the tube, I have found it best to rub it on fingertips to warm the product and then tap and smooth it in the area for a more natural long-lasting result. I am stocking up as soon as I discover which shade suits me best. This has to be the best under eye concealer I have tried. Easy to apply and stays on all day. However not a fan of roll up container as at least a third of product has to be scooped or brushed out so have deducted one star in rating. This goes on nice and smooth but unfortunately, it is a little bit shimmery and the area where I use it stands out a lot in a certain light. 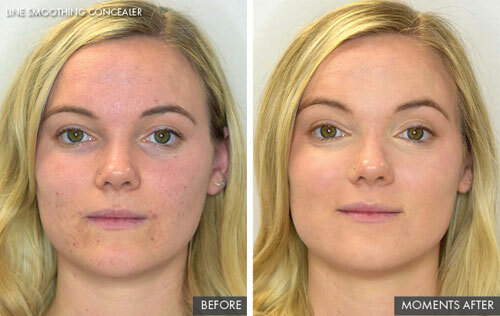 Only a slight shimmer but you shouldn’t be able to notice the areas where you have used your concealer. Absolutely love this product, have finally found a concealer that really works. It covers up the dark circles and spots and leaves my skin looking fantastic all day! May 11 2017 I have tried to find my holy grail concealer and i have FINALLY FOUND IT! I have dark circles under my eyes and this concealer is the ONLY concealer that gets rid of my dark circles under my eyes and my fine lines and makes me look younger and so fresh! I am absolutely in LOVE with it.